Superbly handcrafted, each jewelry piece reveals a dazzling treasure. Experience the intricate beauty of nature’s secrets. 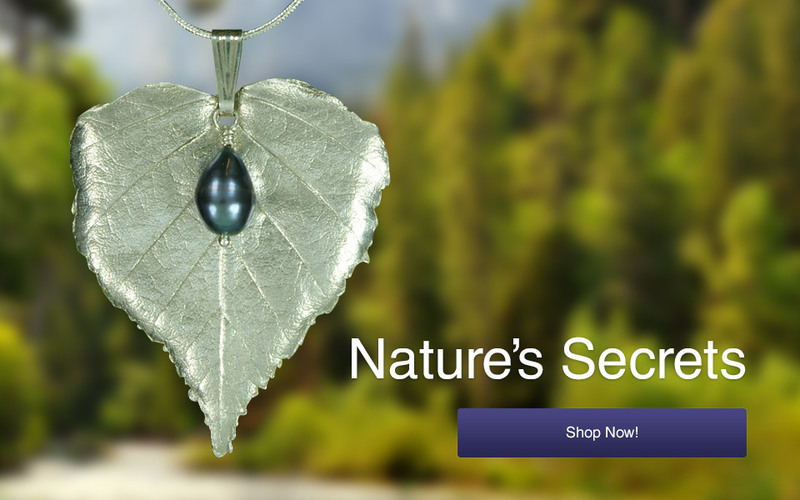 Precious silver (99.9%) artistry captures the amazing textures, patterns and designs found in the natural world. A spectacular dragonfly or starfish necklace … a maple seed and acorn pendant … a bark design bracelet and sparkling oak leaf earrings are certain to catch your eye. Shop online at Bijoux Boreal for exquisite and unique designer jewelry. Custom design available.